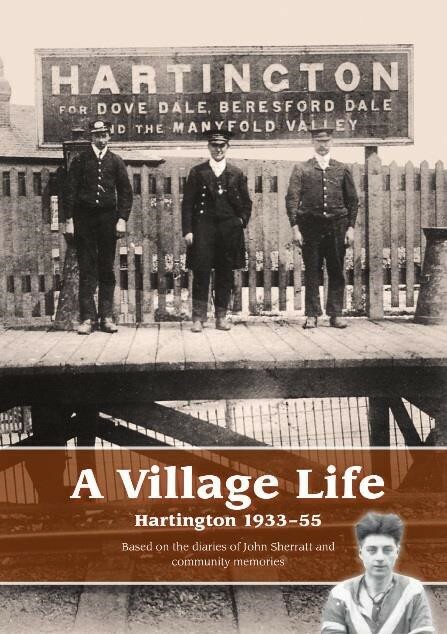 The History Group’s book ‘A Village Life: Hartington 1933-55’, based on the diaries of John Robert Sherratt and community memories, was formally launched at an event in the village hall on the 21 January. This publication has been well received by an already wide readership, attracting publicity in local newspapers, magazines and local radio. It has also attracted additional information from people who once lived in Hartington or who had relatives here, including two of the sons of Fred Robinson, the stationmaster pictured on the book’s front cover, still living in Buxton. 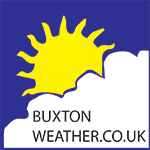 Scheme/Heritage Lottery Fund, and Hartington Charities. If you haven’t bought your copy yet it is on sale in Hartington shops, or come and see our stall at the Wirksworth Big Book Day, 2019, on Sunday April 7, when we will also be selling copies of a new pamphlet, James Oliver of Hartington, 1835 – 1922, and the dramatic first-hand account of his near shipwreck en route to Canada in 1857. There are also still some copies available of the Dr Williams memoir, a former Hartington GP, issued last year. These publications will also be available at the village hall ‘One Year On’ event on 5 May. Proceeds from all publications directly benefit Hartington Community Funds. The Ancestry/Hartington Through Time project, which has been researching the occupants of various properties over time, continues to meet on Monday evenings 7 – 8 pm. The group has now started to catalogue all the accumulated information and documents and to cross-reference them on index cards and in folders. Work progresses slowly, but we enjoy looking at all the stuff we have received or found and sorting them into different categories. We would be more than happy if you wish to join us, the more hands the better as well as the local knowledge. We have just replaced the main lights in the Hall with energy efficient and much brighter LED lighting. This was made possible as a result of a successful application to the DDDC ‘Local Projects Fund’. Cllr David Chapman supported our bid and Darley Abbey Electricals carried out the work. While the hired tower scaffold was in place a team of nine volunteers seized the opportunity to paint the inside woodwork. On the afternoon of 5th May- between 2-4pm we will host a ‘One Year On’ event showcasing our achievements over recent months, celebrating the rich diversity of the 20 groups that use the Hall, and launching a lottery to help raise funds to replace the roof. There will be free tea, coffee and cakes in an informal setting for members of our community to come together to hear about the rich variety of groups that already exist, potentially join one or more of our activities, while also learning of how our Management Group will address the need to refurbish the Hall in the coming years. Please do come along on the 5th May, drop in at some point in the afternoon and bring the family and better understand how this invaluable resource that lies at the heart of our community can look forward to celebrating its centenary in the near future. Mr Gordon Stone and family wish to invite relatives and friends to join them in a celebration of his 90th Birthday. This will be held in Hartington Village Hall on Saturday June 8th between 12noon and 4.00pm. There will be light refreshments available, so come along and stay a while to meet old friends and maybe make new ones. We look forward to seeing you to help make this a memorable day for Gordon. 84319 or Linda 07757844977. Refreshment included. Look forward to seeing you again; don’t forget to bring your aprons, floral scissors, secateurs with you. It is not compulsory to sign up for every session. Hartington C of E Primary School- 2019 has got off to a flying start with many new initiatives as well as the consolidation of our long term projects. Key areas this term have been Internet Safety, enhancement of Collective Worship and a Pilot with the Youth Sports Trust (YST) of an Intergenerational Project- “Active Across Ages”. A Parents Evening was held on 6.2.19. The Internet Safety workshop was held at Biggin School on 8.2.19 and then both Biggin and Elton Schools were hosted by Hartington; a Collective Worship training for the children was delivered by Alison Brown from the Diocese. A whole school trip to “Open Centre” Derby was staged on 12.3.19 when KS2 visited a Mosque and participated in a workshop; while KS1 had a “Synagogue experience” and workshop. The Celebration Assemblies, prior to Community Lunch are proving very successful and enjoyable. The children are able to showcase their work as well as lead a themed worship, always including some beautiful singing of the hymns. Community lunches are really well attended, this time we held a Bingo session to raise funds for the Uganda Goat project- a magnificent sum of £62.50 was realised- thank you to everyone who supported this. The 11 children in KS2 are excited to be involved in the Inter- generation Project alongside Anthony Gell Secondary school, Wirksworth. They received a full day of training, delivered by 4 tutors from YST, and are now busy planning a programme which will be shared with the community. The sessions will be held in the summer and autumn terms- watch this space! Returning after Easter we are looking forward to the Music Partnership delivering the Curriculum Music as well as the whole school singing in preparation for a musical performance on 17th July. Hartington Community Group AGM and meeting (27.2.19). This was well attended, the formalities; of reports, accounts and elections soon completed. An opportunity to welcome a new Secretary –Liz Hitch- and to say a BIG THANK YOU to Janet Bray who is standing down from this role after 7 years. This group provides a forum for all community groups, supporting them with an opportunity for communication, cooperation and co-ordination. We have representation from 20 groups. A full report of the activities in 2018 is available of the village website. We were able to support Badminton Club, PCC, and Ancestry Group with small grants. The HCG accounts are used as a vehicle to support the transaction of many activities; Poppy Display raising funds for the Services, Harvest Supper, Lantern Parade and Christmas Tree Festival and John Bob Sherratt publication which is now raising funds for HCG. These are just a few of the opportunities and support the HCG can provide. We try to deliver on two fronts- supporting fund raising activities for the community as well as providing a social network for volunteers to work together. HYPAC- Sponsored Walk- Saturday 6th April 12 noon- 4pm. Despite numerous dog fouling advisory signs posted in Hartington, a number of complaints have again been received by members of Hartington Town Quarter Parish Council regarding a further increase in the cases of dog fouling on village pavements. This is of particular concern on the pavement area between the telephone kiosk and Hartington Primary School where children have to walk to school. The parish council appreciates that some of the cases may be as a result of non-residents behaving irresponsibly, allowing their dogs to foul pavements and not removing such waste to the bins provided but, in the meantime, the parish council appeals to all parishioners to bag their dog’s waste during walks in the village and to place the sealed bags into any of the waste bins around the village. All of the village waste bins are now dual purpose for receipt of rubbish and sealed bags of dog waste. The parish council would appreciate co-operation with the above request for the benefit of the community. Please note that all listings are free for businesses in the Hartington and District area and any submissions are moderated prior to being posted on the site.